CAPE TOWN – The United National Transport Union (Untu) has expressed disappointment at Transport Minister Joe Maswanganyi’s opposition to Untu’s application against the Passenger Rail Agency of South Africa (Prasa) in the Western Cape High Court for a court order to ensure a safe working environment for Untu members. 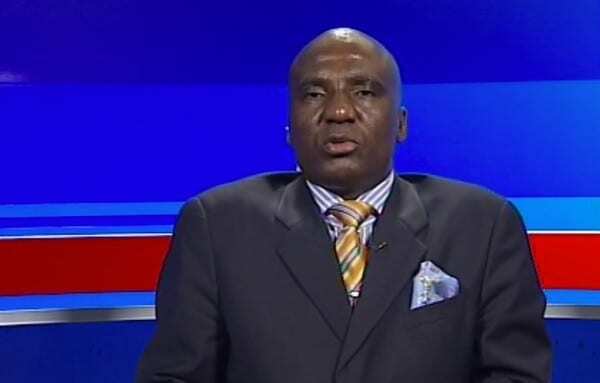 It is clear that Maswanganyi merely opposed this “crucial court application to show his muscle without attempting to familiarise himself with the extent of the crisis” Untu members working for Prasa faced every day, Untu general secretary Steve Harris said in a statement. Untu had to cite Maswanganyi as the custodian of the state-owned enterprise (SoE) as a respondent in the matter, but did not ask the court to grant an order against him, he said. “The minister’s decision to oppose will simply further delay the hearing of this matter which is not only in the interest of Prasa employees, but in the interest of all commuters relying on trains to get them to work and back home daily. “Untu realises that with every new minister comes a broom that would like to sweep clean, but in the current circumstances with trains being vandalised and torched in all the main cities in the country weekly, this minister should realise the seriousness and the urgency of the pending application. Untu does not want to see more of our members die or be harmed,” Harris said. Untu approached the court last month for an order to force Prasa to fulfil its obligations in terms of the Occupational Health and Safety Act, the Labour Relations Act, and the Constitution, and to improve safety on the notorious central line between Cape Town and Langa in the Western Cape. The union asked the court to direct Prasa to establish an armed mobile reaction unit whose members would be stationed at Netreg, Mitchells Plain, and Chris Hani stations. Untu also asked the court to order Prasa to establish a joint task team comprised of the union, other representative unions, and police to develop a long-term strategy for commuter safety in Prasa. If Untu succeeded with this application on the central line where it had documented various incidents from July last year, it would have a strategic effect on Prasa to drastically improve security at all its premises in the rest of the country, Harris said. Untu appealed to Western Cape Judge President John Hlophe to grant the hearing of this application an expedited court date. “The minister must now compose his affidavit to indicate to the court what his reasons for opposing the application are. Prasa has not yet indicated if it will oppose the application,” Harris said.